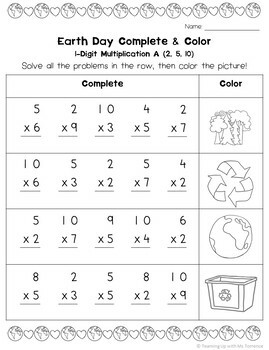 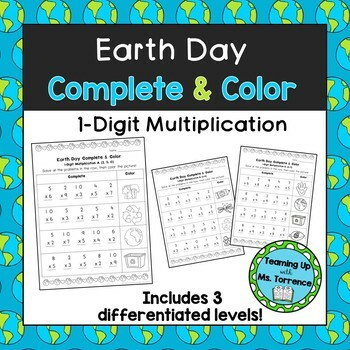 After each row of 5 multiplication problems, students get to color a small Earth Day themed picture. 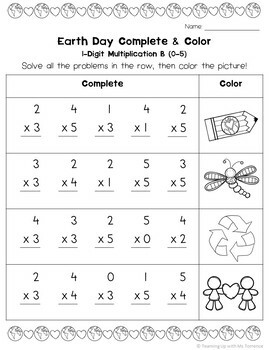 Great as a fun, festive activity for any student or use for students that need a little extra motivation to get work done! 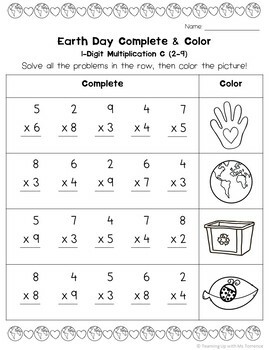 That's 3 pages total that you can use to differentiate or create a math practice packet!